I was recently invited to join TheClymb.com a private sale network offering popular brands of outdoor gear, clothing and accessories and decided this would be a great opportunity review their site and share my experience with all of you. There is no charge to join TheClymb.com but you do have to be invited to join and gain access to the site and participate in their sales. I received my invitation along with a $50.00 merchandise credit as a Klout perk, but if you are interested in joining you can do so via the link found at the bottom of this post. Both of which were pretty good prices, and you can look forward to future reviews of those items right here to see if they were indeed good buys. Shipping and handling charges ended up being $7.98, apparently TheClymb.com charges flat fees between $0.98 and $7.98, depending on the items purchased for shipping and handling so the more you order, the more you save. TheClymb.com ships via FedEx Ground, and their shipping policy states you can expect to receive your order within two to four weeks but I have heard that their shipping times can be rather long. Honestly, at these prices I’m not really concerned, but I will definitely let you know if the shipping time is outrageous. I placed my order on September 03, 2011 and as soon as I receive it I will post the date received. Update: I received my shipment on September 24, 2011 a full 3 weeks after placing the order. 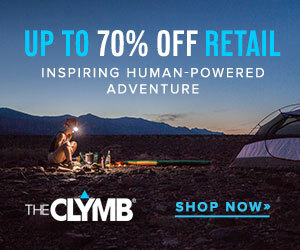 So far I like TheClymb.com I think they have a fantastic concept and I find their website attractive and easy to use, with popular brands priced at 50-70% off retail. What’s not to like? I would definitely recommend joining.